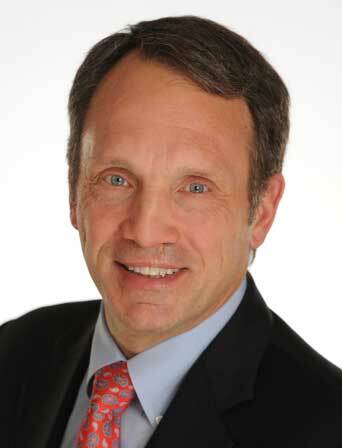 Ken Klaer is Executive Vice President of Comcast Technology Solutions and Strategic Infrastructure. Ken leads the Comcast Technology Solutions organization, which is focused on four lines of business, including wholesale, syndication, video platform and ad delivery. In addition, he heads the Strategic Infrastructure team, which is responsible for video and infrastructure, including the transition to all IP video distribution, as well as the Comcast India Engineering Center (CIEC), Comcast’s first facility in India, located in Chennai. Ken joined Comcast in 2014 as Senior Vice President, Premises Technology, leading the team that developed innovative devices to deliver Comcast’s video, voice, data and cross-platform applications to customers’ homes. He went on to lead the Technology Strategy & Operations team and played a pivotal role in opening the CIEC. Previously, Ken spent eight years with Cisco Systems, first as Senior Director and General Manager of the International Cable TV Set-top, and later as Senior Director, Business Development Connected Devices. He helped lead the service provider video technology group, overseeing the development and execution of product strategies and global go-to-market models for consumer premises equipment. He also held leadership roles in general management, business development, product service management and production control at Scientific Atlanta, which Cisco acquired in 2005. Ken has served on the boards of RDK (Reference Design Kit) Management LLC and the CCAD (Combined Conditional Access Development) organization. He was a member of the Board of the YMCA in Peachtree Corners, Ga., from 2007 to 2013, and he was named Volunteer of the Year in 2011. In 2015, Ken was inducted into the Cable TV Pioneers, which recognizes those who have played a key role in building the systems and MSOs within the cable broadband industry. Ken earned his bachelor’s degree in industrial engineering from the Georgia Institute of Technology, and he is a designated APICS Certified Production & Inventory Control Manager (CPIM).